Have you done an FECRT? Welcome to Wormwise – your gateway to learning how to live with worms (internal parasites) in livestock on your farm. Managing internal parasites is one of the biggest challenges that farmers face. Research shows that there is widespread resistance to several drench families across both sheep and cattle. Wormwise is the national worm management strategy. It is aimed at helping farmers and their advisors to manage worms, not just for today but sustainably for the future. Most farms have worms that can survive one or more worm drenches – anthelmintic resistance. Wormwise will give you access to the knowledge and techniques you need to effectively manage worms today for tomorrow. Wormwise is the product of an industry initiative to develop a national worm management strategy. Wormwise delivers this strategy by managing and integrating research work, education, communication and extension services for farmers, veterinarians, key influencers and retailers. This website is the place to come to get current knowledge about internal parasite management. Recommendations will change over time as new information becomes available from research about these worms that affect productivity and welfare of livestock. 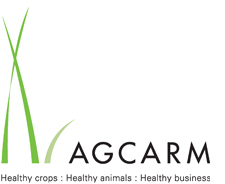 Agcarm represents and advocates for the plant and animal science industries. Agcarm members distribute and sell the majority of veterinary medicines and crop protection products in New Zealand. Members promote responsible use of their products right through the product life cycle, from research to disposal, and are committed to safety and sustainable agriculture. 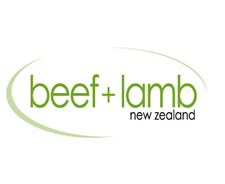 Beef + Lamb New Zealand Ltd is the farmer-owned industry organisation representing New Zealand’s sheep and beef farmers. We invest farmer levies in programmes to grow the sheep and beef industry to provide sustainable returns now – and for future generations. 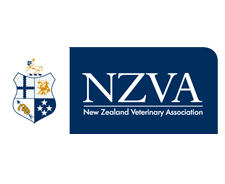 NZVA are a not-for-profit organisation established to help, inform and represent veterinarians throughout New Zealand. Our aim is to provide a central service to support our members in their careers and promote professionalism within the industry. The NZVA represents a united profession, respected and recognised in New Zealand and internationally. NZVA is taking a leading role in challenging the status quo and working with key stakeholders to ensure the veterinary profession in New Zealand remains relevant to our society and livestock industries.